Let A BALLOON BASKET AND GIFT FLORIST DOWNTOWN deliver a beautiful surprise for you today!! 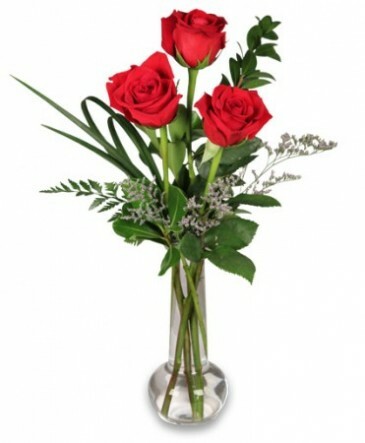 The vase of brilliant red roses with other filler flowers in a red vase is an elegant and natural way to say, "I love you." Order online by February 9,2018 for a Free box of chocolates to be delivered for Valentine. 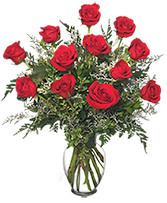 Jackson, MS area order roses online today! At least one Red rose dozen. Delivery by Tuesday, February 14th or Monday the 13th. Express your appreciation to any thoughtful friend, loved one or colleague with flowers from A BALLOON BASKET AND GIFT FLORIST DOWNTOWN... It's the perfect way to say Thanks a Bunch! Order an arrangement now from our website or call our shop and order today!